Many people plan their visits to Yazoo County around our annual events. But Yazoo County is a great place to visit year-round for anyone who enjoys an off-the-beaten-path adventure, blues, architecture, shopping, ghost stories, outdoor activities including fishing and hunting, historic sites, natural wonders, or delicious food. Located just 35 miles north of the Mississippi capital of Jackson, Yazoo County is your first stop for a taste of the hospitality, culture, and unique stories that can only be found in the Mississippi Delta. 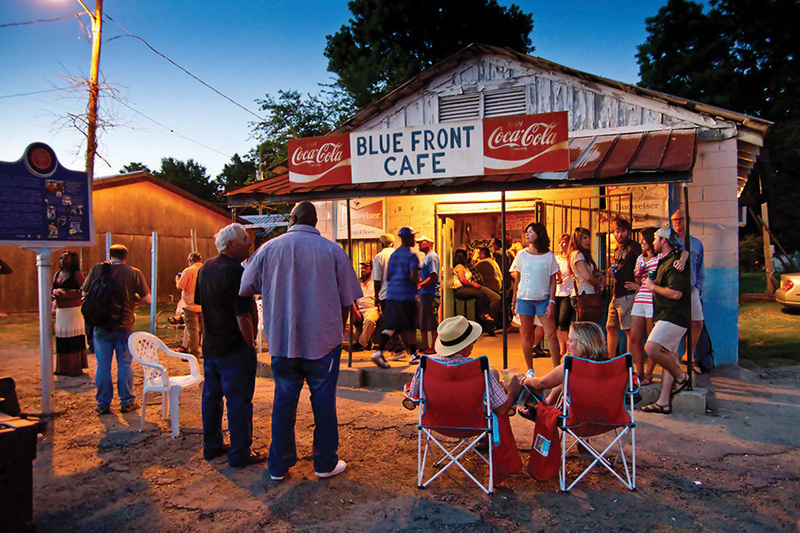 The Blue Front Cafe in Bentonia, Mississippi, is home to many events throughout the year, including related events leading up to the Bentonia Blues Festival. The Festival, held annually on the 3rd Saturday in June, has moved its location about a mile north of Bentonia off Highway 49. The oldest juke joint in Mississippi that is still in daily operation – possibly in the world – is located in the town of Bentonia in southern Yazoo County. The Blue Front Cafe was opened in 1948 by Mary and Carey Holmes and in its heyday was the spot for workers coming in from the fields for buffalo fish, drinks, music, haircuts, and more. Today, the Blue Front is owned and operated by a son of the original owners, Mr. Jimmy “Duck” Holmes. “Duck” is the last surviving performer of the Bentonia style of blues – a style unique to the area, originated by the unrecorded Henry Stuckey and made famous by Nehemiah “Skip” James, whose songs have been covered by Robert Johnson, Deep Purple, Eric Clapton, Beck and many others. Insiders Tip: The Blue Front Cafe no longer serves food (except during special events) but most days you can still get a cold drink and hear the unique and haunting country style of Blues that originated there. The Blue Front Cafe is a truly authentic juke joint… you can never know just what to expect. Willie Morris, the Yazoo-born author who made the legend of the witch famous, passed away in 1999. He is buried in the old part of Glenwood, “13 paces to the south of the witch’s grave.” Morris was known to be a fun-loving prankster. Visitors to his grave often leave trinkets in his memory. Yazoo County is full of myths and legends. One of our most famous is that of the “Witch of Yazoo.” Legend has it that she returned from the grave in 1904 to burn down the town, just as she swore on her dying breath. Glenwood is also home to a mass Confederate grave, and the graves of many of Yazoo’s notable, if not famous, sons and daughters. 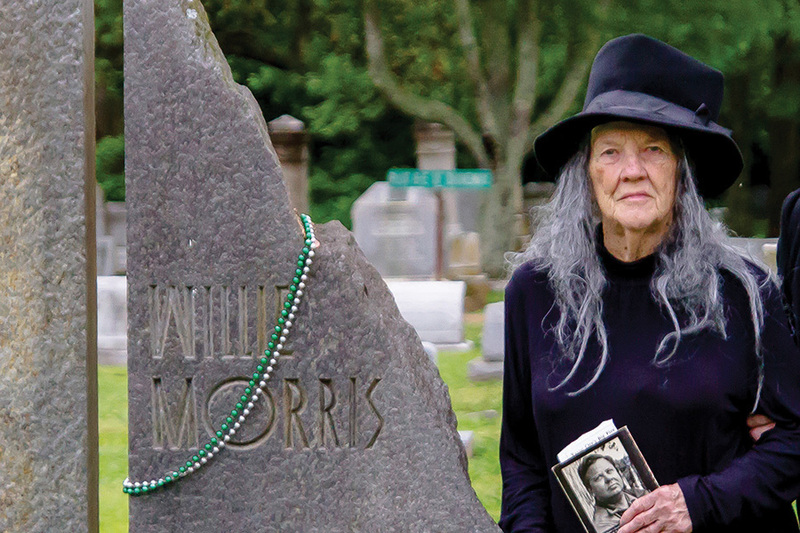 Author and Editor Willie Morris is buried 13 paces to the South of the witch’s grave, whose Legend he made famous in his novel Good Old Boy. Willie, who grew up in Yazoo City, was a prolific writer and wrote two novels about his boyhood that have been made into movies (The River Pirates/Good Old Boy: A Delta Boyhood (1988), My Dog Skip (2000)). Glenwood Cemetery in Yazoo City was voted the second “Spookiest Cemetery in the US” in a 2012 Huffington Post poll. 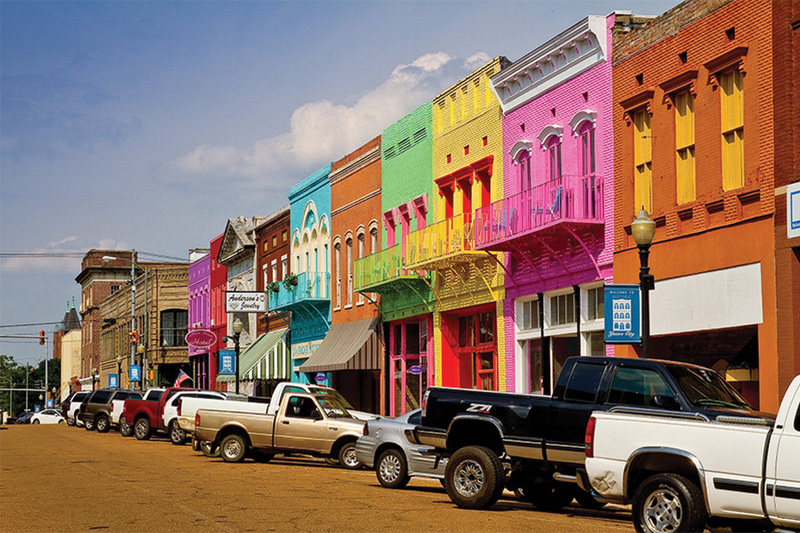 Yazoo City’s historic Main Street is colorful and fun. Be sure to tour the area while you are here. Our colorful buildings have made the street an attraction for tourists and travelers from all over the world. Many opt to stay in the unique Main Street Hotel, located on the second floor of many of these colorful buildings. A short 9 or 10 years ago, Yazoo City’s historic Main Street was on the verge of becoming a ghost town. Buildings were crumbling and in various stages of disrepair, all but a hand-full of businesses had closed or moved, and parking spots were a plenty. Today, we are so proud to say that our historic Main Street is not only surviving but thriving! Thanks to a small group of local business owners who purchased buildings, made repairs, and worked tirelessly to bring in new businesses AND thanks to the remaining few decades-old businesses on Main Street who refused to give up on the area, business is booming. Brightly-painted, colorfully restored or renovated buildings, most of which were built in 1904, now line the streets and are home to craft and antique markets, clothing shops, furniture, children’s toys, delicious food, and more. Insider Tip: A couple years ago, Yazoo City’s Chamber of Commerce spearheaded the installation of a world- class display of colorful lights draping the buildings on the first 2 blocks of Main Street south of Broadway, as well as several other buildings throughout Yazoo City’s shopping districts. The annual display is now sponsored by the Yazoo County CVB (Visit Yazoo) and delights visitors from early November through the New Year. Check our list of Upcoming Holiday Events to stay updated. Yazoo City’s Town Center Historic District includes residential and commercial areas. Visit our Brochures page for a copy of the Historic Homes Tour and Historic Churches Tour. Known as the “largest single area” to be placed on the National Register of Historic Places, comprising both residential and commercial areas (including Main Street), the Yazoo City Town Center Historic District can be viewed on a Walking or Driving Tour of homes or of churches. The area was selected by This Old House Magazine as one of their “Best Old House Neighborhoods” in 2012 for its many 19th- and 20th-century examples of Queen Anne cottages, Greek Revivals, and Colonial Revivals. Insider Tip: Looking to own a unique or historical property? Yazoo City may be just what you’re looking for. One of the factors that This Old House used in their selection was the relatively low price for which real estate can be purchased in our historic district. The Triangle Cultural Center was originally the Main Street School, opened in 1904. The building was under construction when Yazoo City burned in 1904. At the north end of Yazoo City’s Main Street is a city block known by locals as “The Triangle.” This triangular-shaped block nearly holds the entire history of Yazoo County. 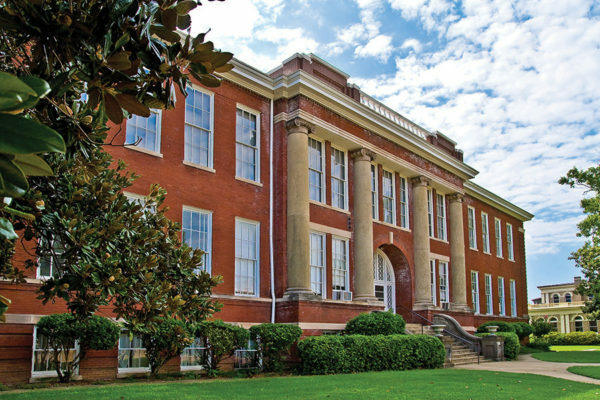 The old Main Street School, now owned by Yazoo City and identified as the Triangle Cultural Center, is home to two museums, a hand full of artists and artisans, and host to events throughout the year. The basement, or as visitors have come to lovingly call it, “the dungeon,” is home to the William Duke Carter Collection of Antique Tools. The collection of wood planes, blacksmith tools, railroad equipment, and early inventions of the 20th Century was donated by Duke Carter. Carter was a Yazooan whose passion for and interest in 19th and 20th-century craftsmen led to the collection. In 1990, the Carter family donated his collection to the Triangle Cultural Center as a way of exposing people to the craftsmanship of the past. The second floor of the Triangle is home to the Sam Olden Yazoo Historical Society Museum. This remodeled, modern museum tells the history of Yazoo County from prehistoric fossils, famous Yazooans, Yazoo Firsts, and much more including the Governor Haley Barbour Collection room, full of memorabilia collected during his stay in office and donated by the Yazooan and former Governor. You will want to take the short stroll from the Triangle Cultural Center to B.S. Ricks Memorial Library. The path you’ll walk along is the Henry Herschel Brickell Memorial Yazoo Literary Walkway, which honors the memory of over 100 published authors from Yazoo. Ricks Memorial Library is an absolute treasure to behold. The building was built in 1901 and donated by Fannie Ricks in the memory of her late husband. This generous donation meant the already-formed Yazoo Library Association, which is now the 2nd oldest library association in Mississippi, had a permanent home. Today, this still-active library building is the oldest library building in the state that is still in use. 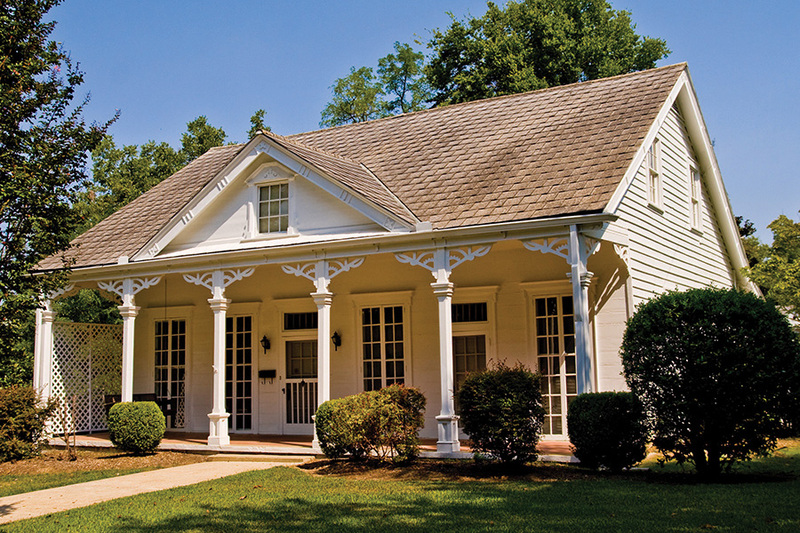 The Library is also a designated Mississippi Literary Landmark in honor of the special childhood relationship that author Willie Morris had with the Library. Insider Tip: Mr. Ricks was known to have been especially fond of circles. Ms. Fannie Ricks had Ricks Memorial Library building designed with this in mind. See how many circles and half-circles you can find! Painting of the view of the steep decline into the Mississippi Delta from the top of Broadway hill by Edd Smith, 2009, from the collection of Yazoo County Convention & Visitors Bureau. Being located at the edge of where the Delta meets the Hills gives Yazoo a unique perspective. Nowhere is this more evident than when taking in the iconic views of Broadway hill. 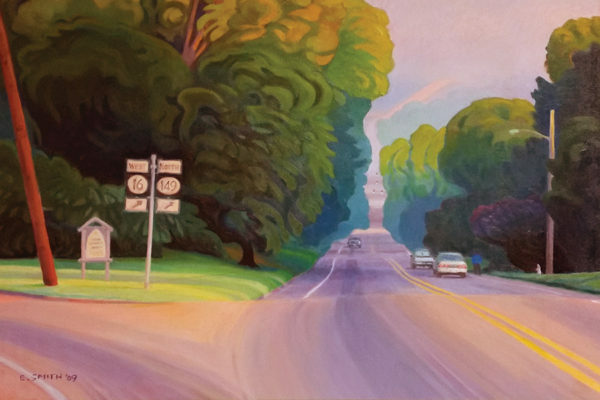 The over 200-foot decline from the top of Broadway (at Battle Road) to the bottom of Broadway hill at Main Street and beyond offers a spectacular view of the historic district of Yazoo City, that flows down to Main Street and into the great, flat Mississippi Delta. The view is truly and spectacularly breathtaking. Insider Tip: The view from the top of Broadway can be obscured when the trees are in full glory during late spring and summer. To have the best view, make the stop during the late fall, winter, or early spring. 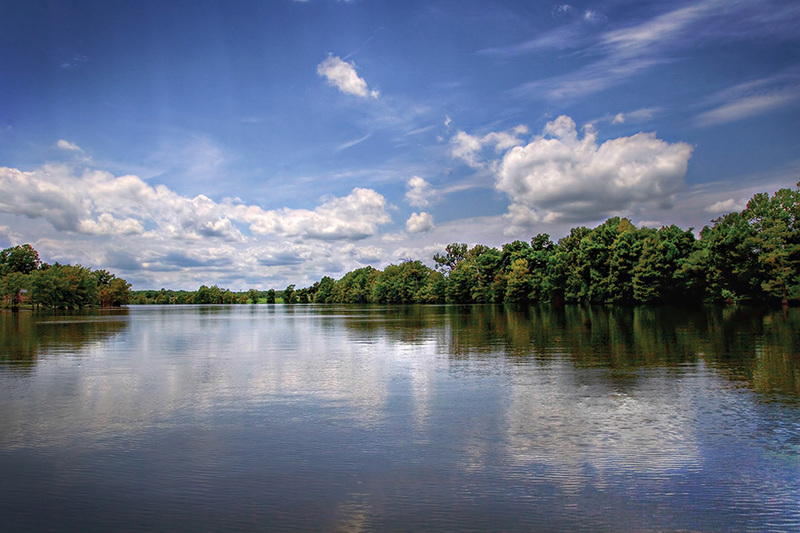 Wolf Lake – “The Delta’s Best-Kept Secret” includes a public boat ramp. M.J. Cabins is a new development that offers overnight or weekly stays on the edge of the Lake, including kayaking! Wolf Lake is known by insiders as, “the Delta’s Best-Kept Secret.” The Lake offers a public boat launch, convenient location to Hines Grocery’s restaurant and bait shop, incredible fishing, and glass-like conditions for water-skiing or wake-boarding. This 18,000 acre, 15-mile-long lake is located 8 miles northwest of Yazoo City off Highway 149 and is the site of fishing tournaments each year. In 2014, it was the site of the first Louisiana Collegiate Wake Tour stop outside of the state of Louisiana. The Yazoo River Bridge at Satartia is said to be haunted by some, ugly by others. Either way, it is a unique sight and the sign you have officially entered the Delta. 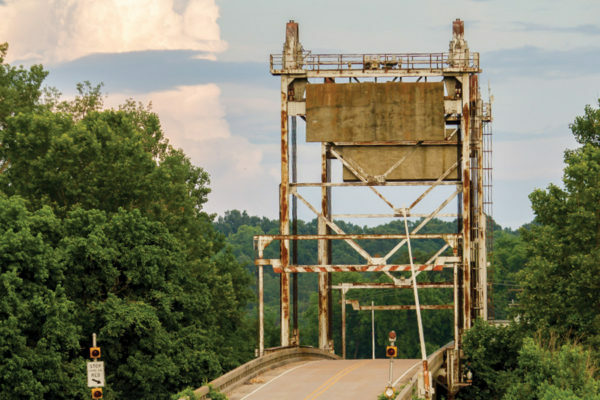 The Satartia River Bridge, built in 1926, is one of only 3 vertical lift bridges in the state. The bridge spans the Yazoo River at Satartia Road, a river named by the French explorer LaSalle in 1682 after a tribe of Native Americans he found living near the mouth. According to the Vicksburg Post, several ghost-hunting Web sites and WJTV News Channel 12 in Jackson have all cited hauntings around the Satartia bridge. The Web site paranormalnews.com claims visitors to the bridge can see yellow-green bubbling water in the river and hear moans down below at night. Perhaps it’s the lost souls of the “Yazoo Indians”, who according to one legend, marched into the river to their deaths because they refused to surrender to the French. Or, maybe it’s a lost crew of one of the 29 boats sunk in the Yazoo River during the Civil War. The views of the River and the Delta are the most beautiful sites in the area. Interestingly, the Satartia bridge has been listed on websites listing ugly bridges. Still, the complicated mechanical wonder of a vertical lift bridge, which acts as it sounds – lifting the whole roadbed through a system of counterweights and cables – is a thing of beauty, is it not? Plus, a drive through Yazoo County on Satartia Road will lead you from the pretty little town of Satartia through farmland, past swamps and forests, all the way to the tiny area known as Holly Bluff. Before reaching Holly Bluff, when the road nears Lake George, your drive will take you past Perry Farms and past the Lake George Site on the Mississippi Mound Trail. The Lake George Site (also called Holly Bluff) originally had as many as 28 mounds and is one of Mississippi’s largest continuously occupied Native American sites. The history of earth moving at the site is impressive. Though people began living at Lake George between 1500-1000 BC, the first earthen mounds were built during AD 850-1000 or perhaps a little earlier. Professional archaeologists excavated portions of many of the mounds in the 1940s and 1950s. They found that Mound C was one of the first to be built and that it was used as a burial mound. One or two additional mounds were also built during this time. Present day visits are best made during the fall or winter, as the mounds that remain are tree covered, and the lush foliage can make the mounds difficult to see. The TR NWR Complex Headquarters is located in Yazoo County in Panther Swamp NWR. Along with business activities such as permits, the headquarters includes a visitor’s lobby with lots of displays. Want to pet an alligator or learn what a bear’s fur feels like? The lobby has these and more on display, and children are welcome to experience it all! Covering over 40,000 acres of bottomland hardwood forests, cypress-tupelo sloughs, and meandering bayous, Panther Swamp NWR is one of the largest refuges in the state of Mississippi. 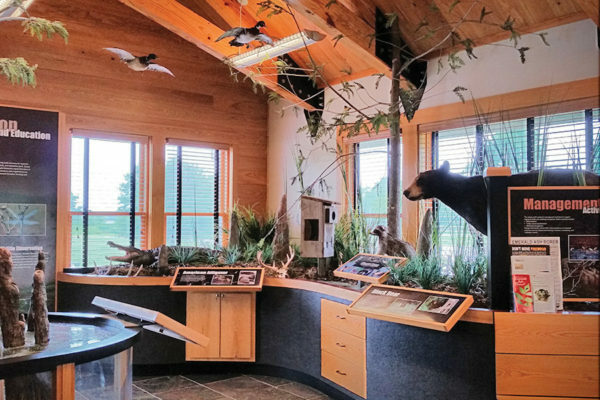 Visitors Activities at Panther Swamp include fishing, hunting, paddle boating, nature viewing, bird watching, and more. Panther Swamp NWR is managed as part of the Theodore Roosevelt Complex, which offers a visitors information center on MS-149 in Yazoo County. The Theodore Roosevelt National Wildlife Refuge Complex is the largest refuge complex in the state of Mississippi and includes over 100,000 acres of refuge lands on seven refuges. Food, Food, and MORE Delicious Food! 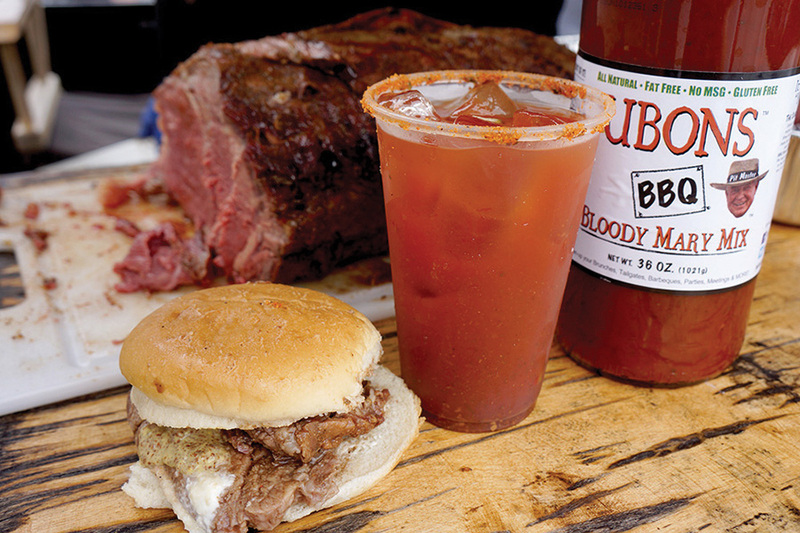 Ubons Bloody Mary Mix and Ubons Sauce can be purchased in several shops in Yazoo and in many fine establishments all across the United States. And the Ubon’s Restaurant is just one of over 30 locally-owned restaurants and eateries in Yazoo County. Choosing where and what to eat may be the most difficult decision you make when visiting Yazoo! The culinary culture of Yazoo County is perhaps as varied and as fabled as her land and people. Yazoo County is home to producers of fine foods and treats found and recognized worldwide. Mississippi Cheese Straw Factory was founded in 1991 in Yazoo City, “where the love of good food and hospitality run deep.” Today, the business is still family owned and operated, and their delicious products are baked and shipped fresh daily all over the world from right here in Yazoo City. Yazoo Toffee Company is a more recent development in Yazoo, having opened their business in 2012 as a mother-daughter team. The pair put a “southern” twist on traditional English Toffee, using the best ingredients and handcrafting each batch. Their unique treats can be found in specialty shops and stores all over the southeast. In 1982, Simmons Farmed Raised Catfish Processing Plant opened, growing from the 1977 idea by Yazoo City farmer Harry Simmons. Harry began to replace his fields with ponds for raising catfish – a clean, sustainable food that could provide delicious year-round nutrition for American families even as it protected and nurtured the environment. The rest, as they say, is history. Simmons Farm Raised Catfish, still at home in Yazoo, is a nationally-recognized brand – one that stands for American-grown and produced quality. Perhaps most famous is Yazoo City’s Ubon’s Barbeque of Yazoo. Ubon’s grew from a 5-generation family recipe for BBQ sauce, sprang into a championship-winning Memphis Barbecue Network cooking team, and eventually led to the opening of the hometown restaurant. The father-daughter pair, Garry and Leslie Roark, have led their team to a list of wins to rival the most prolific. Today, their Ubons Sauce and Ubons Bloody Mary Mix, in a variety of concoctions, can be found in specialty and grocery stores all over the United States. Leslie Roark Scott made appearances on the Food Network in 2015 earning her and Yazoo much fame. And the family isn’t done earning recognition. Leslie’s son, 12-year-old Jacob, is carrying on the family tradition and competed on Kids BBQ Championship in 2016! Insider Tip: Sundays and Mondays in the Delta (and many places in Mississippi) can make for slim pickings of unique places to eat. Best to plan your trip around those slow days, or research ahead of your trip to find those businesses which are open. For additional help in planning your trip, contact us. My “home” county and birthplace. I must return on a semi-regular basis to reload and remember. This is a great website – the descriptions are well written and the photos are great. No wonder this CVB has been recognized multiple times through the years as outstanding!!! Proud of my Yazoo! I was raised in Satatria , Mississippi on Holy Bend Plantation back in the early 70s and 80s I had a great life out in the country. I just hated when it flooded, Miss a lot of days out of school. I go back to visit every other year when it not flooded.